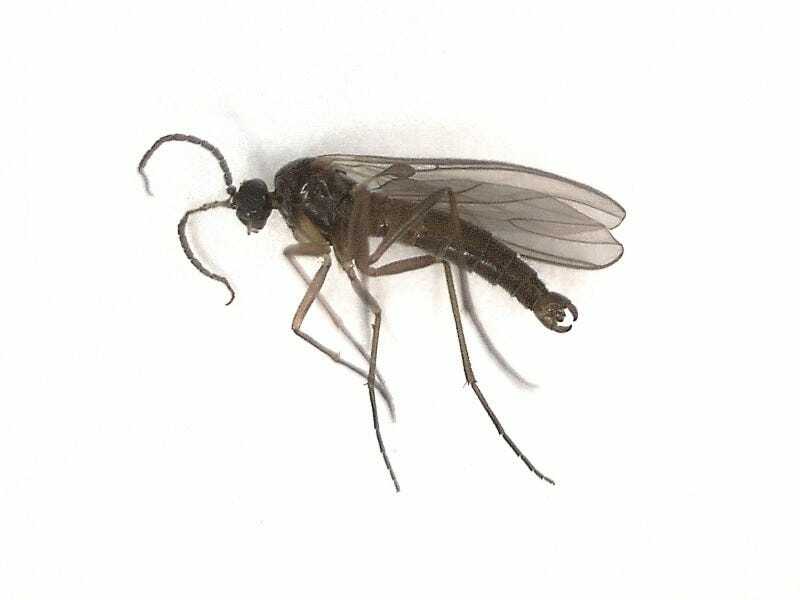 Fungus gnats are small, dark, short-lived gnats that infest soil, potting mix, other container media, and other sources of organic decomposition. Fungus gnats affect your plants mainly through their larvae. They lay the eggs in your growing medium. Once they hatch, the larvae will attach to the roots of your plants and drain them of nutrients causing significant damage over time. 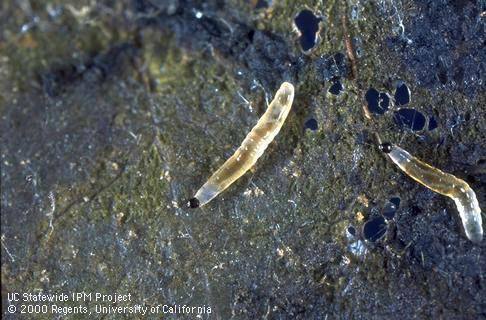 Fungus gnat eggs are bearly visible, oval, smooth, shiny white and semi-transparent, but the larvae or maggots are legless having a shiny black head and an elongated body up to 1/4 inch long. Pupae occur in silk-like cocoons in the soil. While the adults are poor fliers and tend to get disturbed by watering. After hatching, fungus gnat larvae promptly begin feeding. Their feeding can cause significant root damage and severely inhibit nutrient uptake. The resulting damage commonly shows up as nutrient and/or water deficiency brought upon the plants by decreased root absorption.